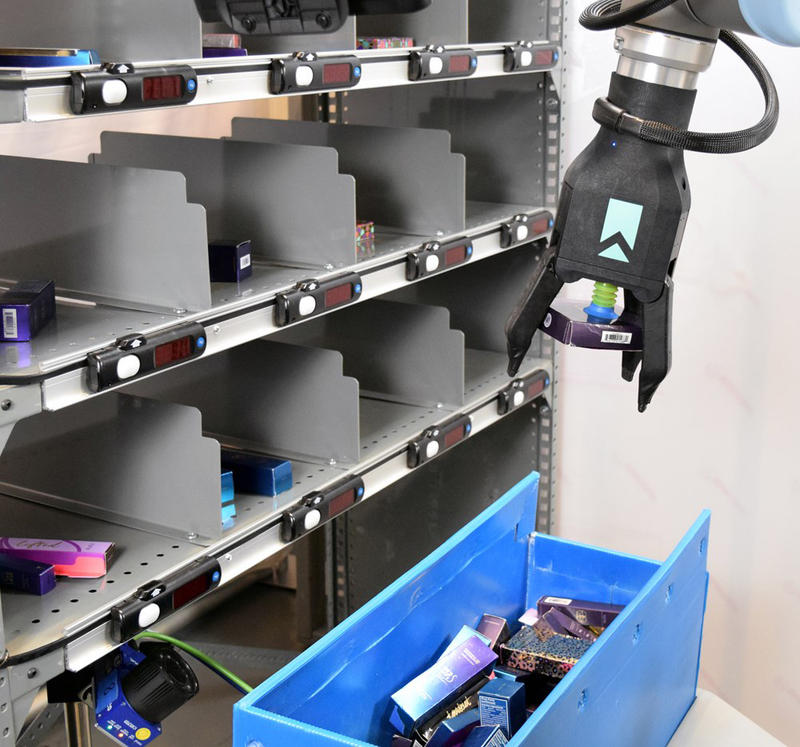 RightHand Robotics, a leader in providing integrated robotic piece-picking solutions, announced its first put wall integration with Capacity LLC®, a leading provider of technology-driven order fulfillment and e-commerce solutions. 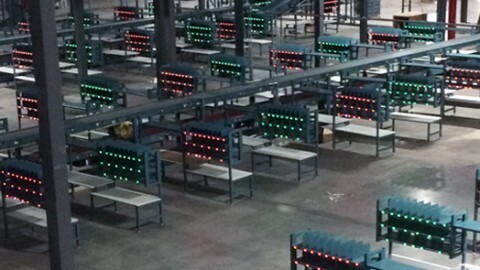 RightHand’s newest RightPick product platform will be integrated with existing warehouse material handling systems from Matthews Automation Solutions brand Lightning Pick, a provider of light-directed and advanced order fulfillment systems. RightPick is an autonomous robotic piece-picking platform that handles the core task of picking and placing individual items as part of a wide range of workflows and processes in warehouse fulfillment operations. Initially released to support AS/RS tending and sorter induction, RightPick’s put wall offering is capable of barcode identification, placement to a variety of compartments, and integration with conventional put-to-light systems. It also allows conversion of existing manual put walls into robotic put walls and provides ROI in approximately 18 to 24 months. A put wall system integrated with RightPick, for which RightHand Robotics is a finalist for an MHI Innovation Award, will be demonstrated at ProMat in Chicago, April 8-11, at booth #S2397. RightHand Robotics is a leader in providing robotic piece-picking solutions that improve performance and efficiency in e-commerce order fulfillment and intralogistics. Its RightPick product platform is a software-driven, hardware-enabled solution that handles the core task of picking and placing individual items as part of a wide range of workflows and processes​. With RightPick, businesses can reduce the cost of order fulfillment in electronics, apparel, grocery, pharmaceuticals, and many other industries. RHR was founded in 2014 by a DARPA challenge-winning team from the Harvard Biorobotics Lab, the Yale GRAB Lab, and MIT, intent on bringing grasping intelligence powered by computer vision and applied machine learning to bear on real world problems. The company is based in Somerville, Mass., outside of Boston. For more information, visit www.righthandrobotics.com. Since 1999, Capacity LLC® has provided expert order fulfillment services, warehousing, value-added services, assembly services, and technology solutions to global brands. Capacity LLC® provides a bicoastal fulfillment solution, from five facilities in North Brunswick, NJ, and a sixth in City of Industry, CA. Capacity LLC® provides domestic and international distribution to companies of all sizes, from unique and disruptive startups to household name brands shipping around the world. For more information, visit www.capacityllc.com. Lightning Pick, a part of Matthews Automation Solutions, is the leading provider of light-directed material handling technologies in North America. Our best-in-class pick-to-light, put-to-light, pack-to-light, radio frequency (RF), picking carts and other paperless solutions drive increased productivity, accuracy and cost efficiency from production through order fulfillment. Lightning Pick delivers projects on time, on budget, every time so our customers can deliver the perfect order, time after time. For more information, visit https://lightningpick.com. 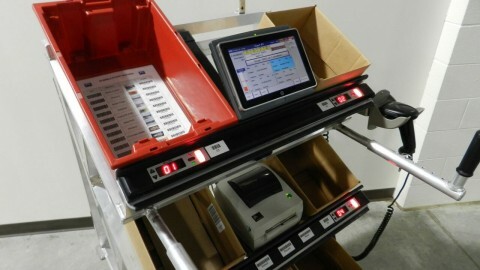 Automate Order Fulfillment Sortation with Two-Sided, Light-Directed LP Put Wall System. Green light – Lightning Pick’s solutions are environmentally friendly. 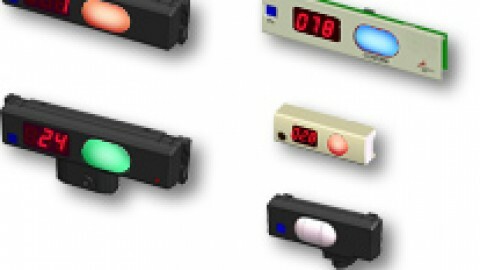 Pick-MAX Pick-to-Light Modules in Two Sizes Showcased at ProMat 2015. Lightning Pick to Exhibit at MODEX 2014. Streamlined solution for e-commerce parcel picking, packing and shipping from Matthews Automation Solutions on display at PARCEL Forum ’13. Mobile Picking Carts That Support Simultaneous Wave, Batch Picking of Multiple Orders at ProMat 2015.